Manhard Consulting Announces David Doran as New Director of Construction Management for Texas - Manhard Consulting, Ltd.
HOUSTON, TX – National civil engineering and surveying firm Manhard Consulting has appointed David Doran, P.E., CCM, to serve as director of construction management services for its Texas operations. Doran will manage construction from Manhard’s Houston-area office as the company supports growth in Houston and statewide, including residential, industrial, business and retail projects. Since expanding to Texas, Manhard has opened three offices: Houston, Dallas-Fort Worth and San Antonio, and plans to add an Austin office in 2019. As director of construction management services, Doran will contribute to Manhard’s continued growth in Texas as they respond to the increasing population and expansion of cities throughout the state by providing services for all phases of land development. Prior to joining Manhard, Doran, a civil engineering graduate from the University of Virginia, served as construction manager at two leading civil engineering firms for fourteen years. He is also a member of the Houston chapter of the Construction Management Association of America. 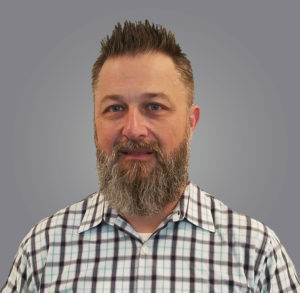 With more than twenty years of experience, Doran brings a deep, diverse skill set and strong regional ties to the company to help Manhard better respond to evolving building and infrastructure needs in Texas. Manhard Consulting is a full-service civil engineering and surveying firm that serves public and private clients nationwide. Our associates collaborate with your teams to address safety, functionality, and quality-of-life issues where it matters most: on your site, in the community, in everyday life. With more than 250 employees, 11 offices across the United States and over 10,000 clients, Manhard Consulting continues to lead the industry as one of the most responsive, innovative and technologically advanced civil engineering and surveying firm in the country. Learn more about Manhard on LinkedIn, Twitter, Facebook, and Instagram.